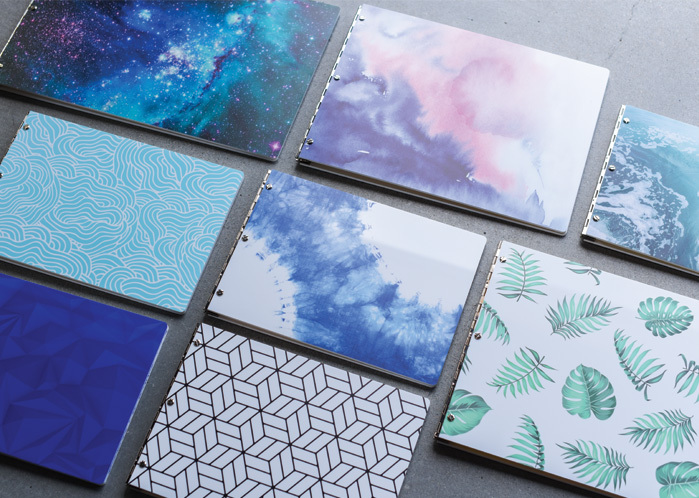 We've been tinkering and perfecting eight new patterns to add to our patterned acrylic portfolio book collection and we're thrilled to release them! Another exclusive to Klo Portfolios, this collection is for the distinguished and the brave. We've included a 3D triangle design, galaxy galore, boho indigo dye, tropical leaves, turquoise sea foam, soothing water colour, waves, and cube line art. The patterns are printed on the exterior of the front and back cover of our snow white acrylic portfolio books. The inside covers will be snow white acrylic finish to perfectly contrast the full graphic exterior and customization. 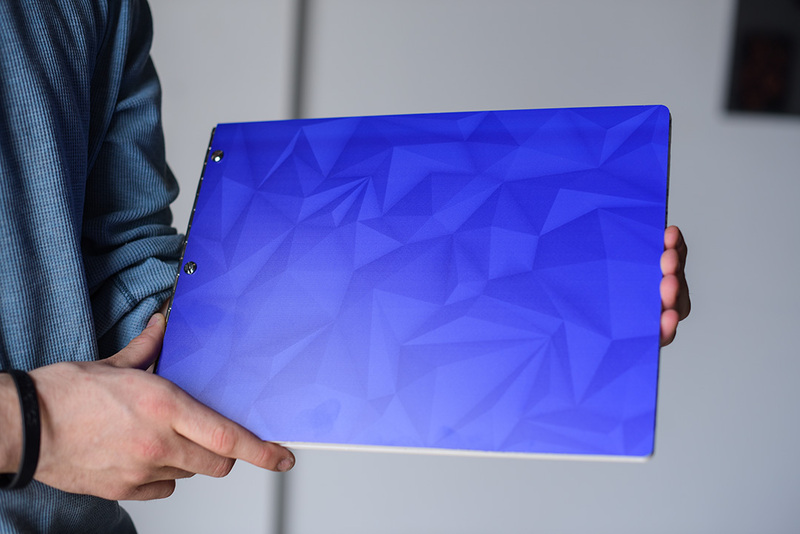 Each patterned portfolio can be customized with an engraving, engraved color full, cut-out or UV Print & Cure. 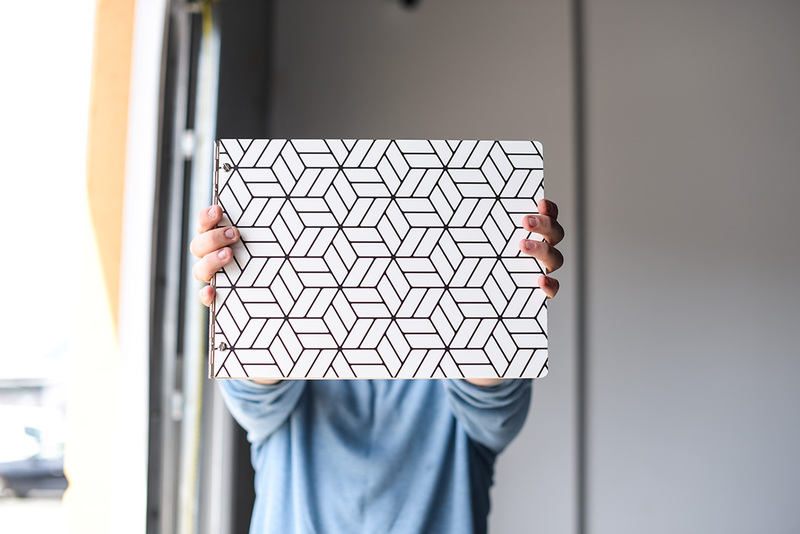 Hot Tip: We recommend keeping your design subtle since the patterns are all detailed and intricate and will already add a lot of wow factor to your custom presentation book. The possibilities are endless! These royal blue triangles are meant to look as if they are popping off the cover. 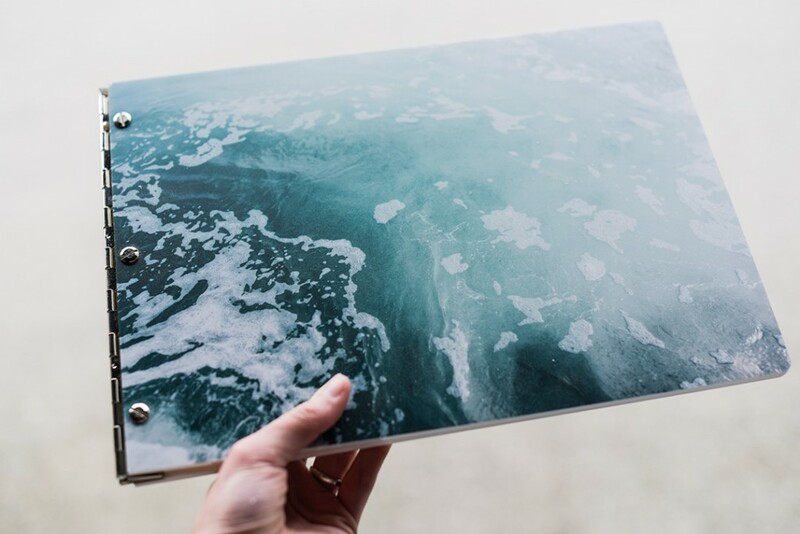 This portfolio makes for a definite attention grabber! 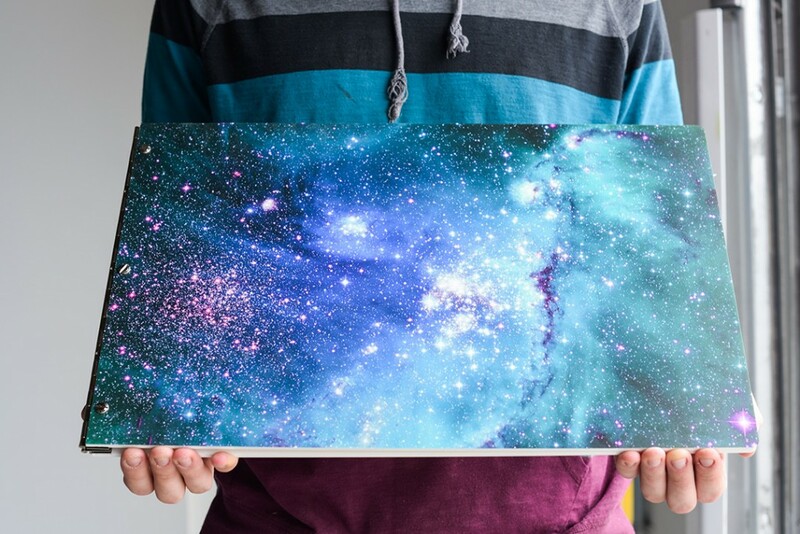 This portfolio is definitely out of this world. We especially love how the stars look like they're twinkling when you tilt the book back and forth. 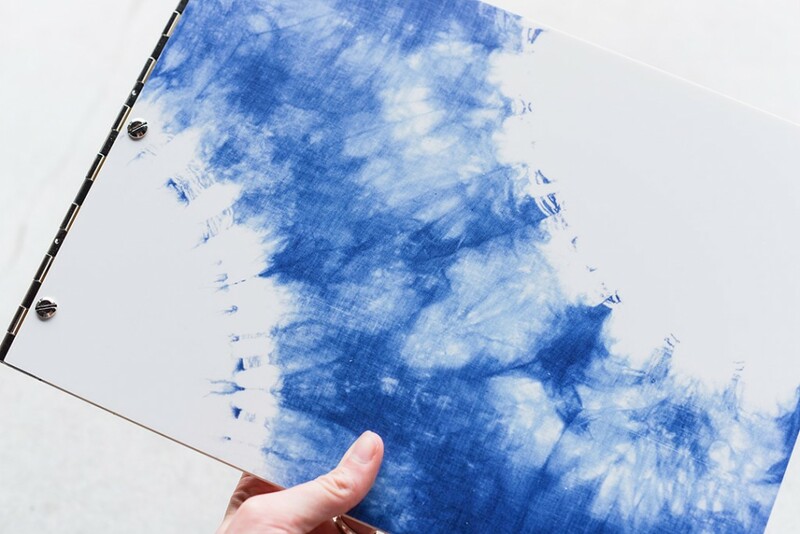 Inspired by all the unique tie dye patterns out there, this portfolio mimics the bulls eye indigo dye technique. The pattern also has a subtle canvas texture which adds contrast to your portfolio. Why not let your portfolio remind you of tanning on a tropical beach in the sun? This portfolio does just that! So simple, yet so intriguing. This design features lines which creates a 3D cube effect. Perfect for an architecture or interior design portfolio. 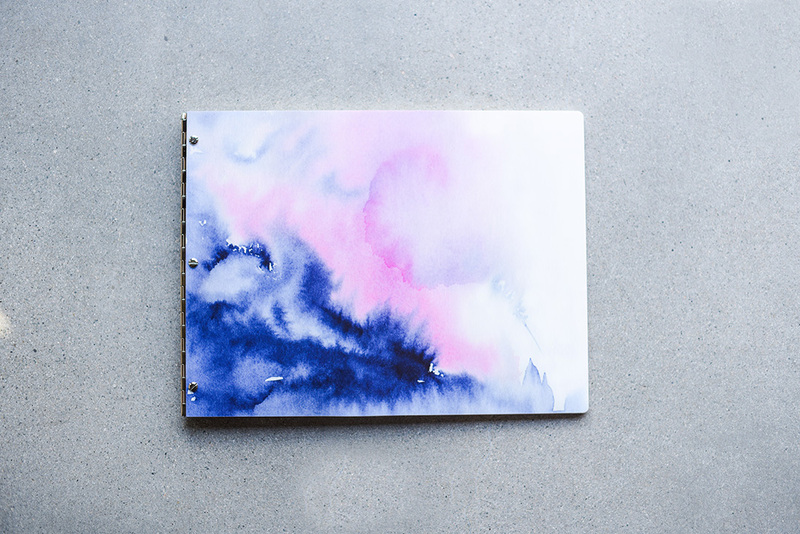 We love how the blue, pink, and white all blend together in this water color masterpiece. The colors and effect all make for a very peaceful cover to look at and will work great with a simple name or logo engraving or engraved color fill. We could look at these wavy blobs all day! The line work causes your eye to move all around the design. With this portfolio you an also opt to change the blue to any color you'd like. 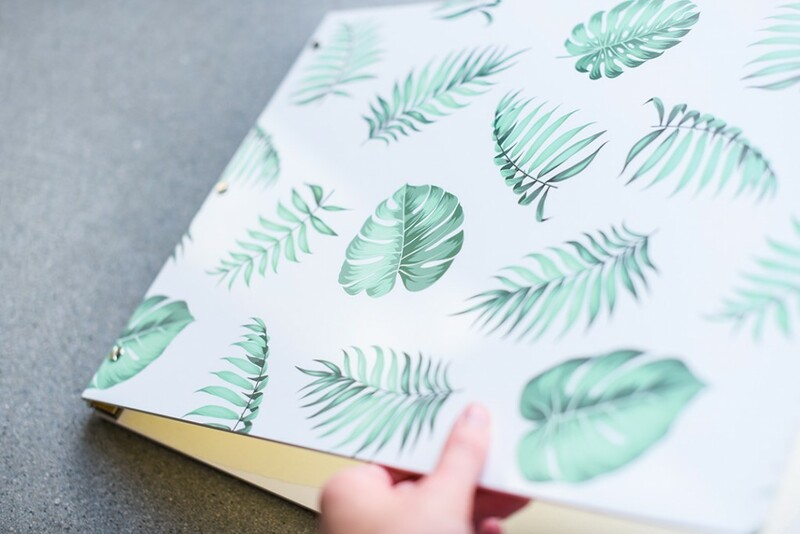 Another portfolio pattern that makes us think of relaxing on a beach somewhere warm. 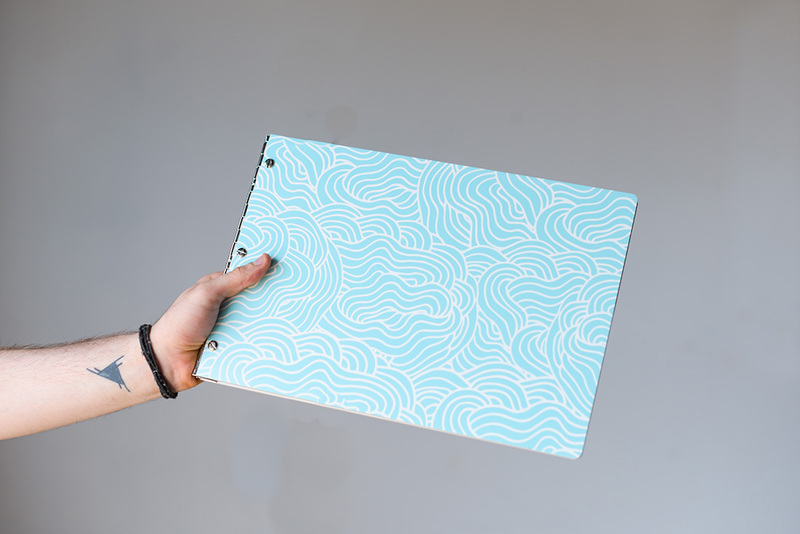 This turquoise sea foam portfolio book is perfect for customizing your name or logo on to make it a truly unique piece. Want to start building your own custom portfolio? Visit our Build Your Own where you can select your size, material, and treatment along with any add-ons. 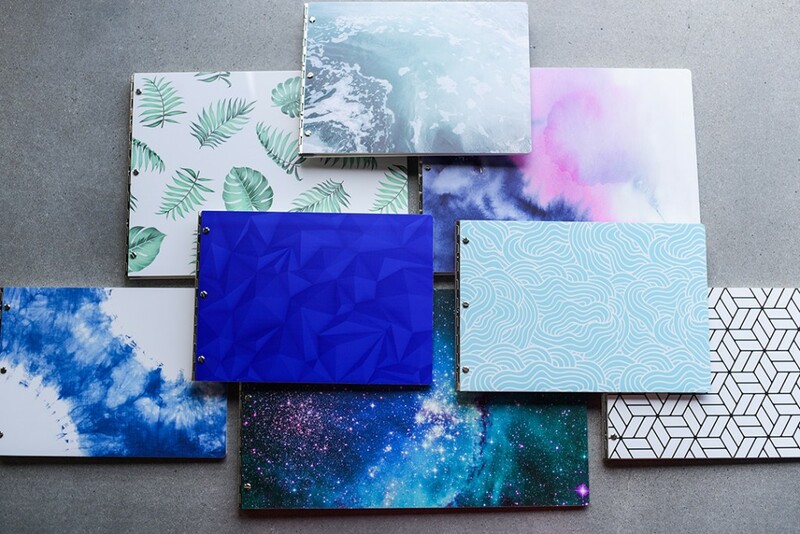 Is there a pattern you'd like us to add to our custom portfolio book collection? Let us know! We love hearing your ideas and are happy to accommodate.